I’m really excited to announce that I’m starting a new monthly series on Effy Talks Life! The series is going to be focussed on badass women who are traveling the world and working too. You’re going to hear from people from all walks of life who will share their stories and give their best advice on how to follow in their footsteps. These interviews will be raw, real and like nothing else out there that I could find. I want to give you guys the good, the bad and everything in between. I had the pleasure of interviewing Carrie of Bigger Life Adventures. 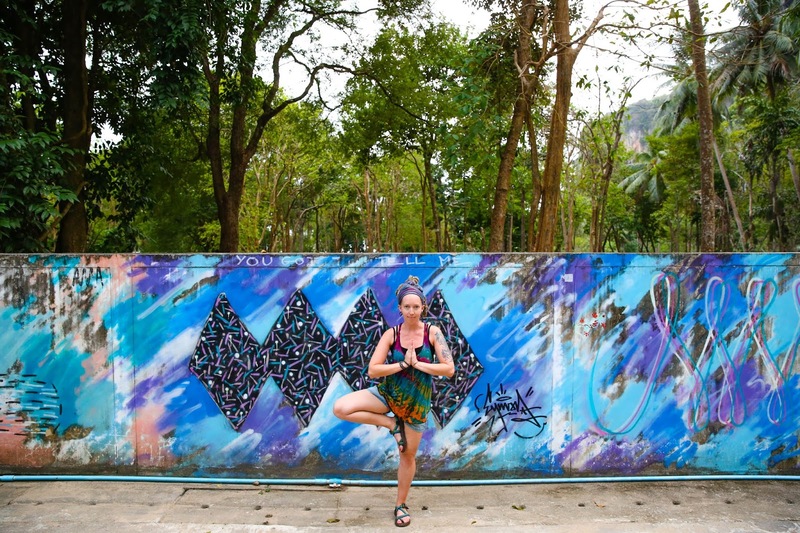 Carrie, originally from the US, is now working as a Digital Nomad and traveling around Asia. She gives great advice on finding balance as a digital nomad and how to get started with life, and travel, on the road. But enough from me – let’s hear from the woman herself! Hey, Carrie – Can you tell us a little bit more about what do you do for work? My husband Zach and I run our own social enterprise yoga retreat company called Bigger Life Adventures. I’ve always been obsessed with travel, adventure, and entrepreneurship, so it only made sense to live life this way! Yoga and travel. It sounds like a pretty chilled out way to live. How did you get started? 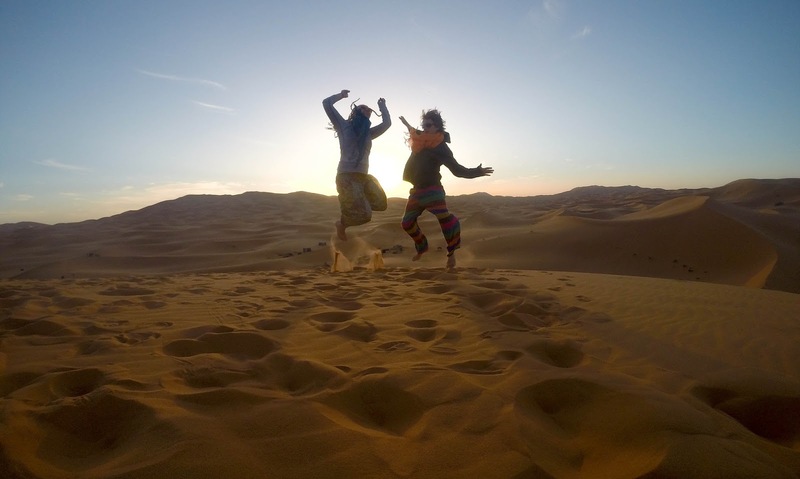 We took off on our digital nomad journey just doing whatever we could to make money. We started with marketing, photography and web design, stuff like that. They were skills that we had, but they definitely weren’t our passions. Eventually after gaining inspiration from travel and meeting other entrepreneurs we decided to put all of our skills and passions to use by starting Bigger Life Adventures! I love yoga and Zach is an amazing vegan chef. We both love travel and adventure. So after all our time globetrotting, we decided to start our retreat company. We also want to help people travel sustainably. Whether that’s through taking healthier vacations or giving back to good causes while they travel. Our retreats give 10% of what guests pay to local nonprofits in the place we’re visiting. These days I’m always conscious of being a more ethical traveler and trying to give back. Did it take you long to get to where you are now? We always knew we wanted to live overseas and work, not just travel and run out of money. But the problem was that we had a great life in San Diego, so we kept putting off our departure for various reasons. When we finally left, finding the balance as digital nomads was a challenge. We had to find a new version of work-life balance and really had to put our trust in the universe to the test. Luckily, we’re now 10 months into this journey and our retreat company is taking off. We still have some side hustles that we do to make ends meet but we’re able to put most of our time into our own business! I’m so happy that all your hard work has paid off. There were a lot of risks involved, but the pay off sounds like it has definitely balanced things out. What’s your proudest achievement? Life hasn’t always been sunshine and rainbows and world travel. I’ve had my share of obstacles to overcome as well. The most significant, game-changing event of my entire life was admitting I had a problem with alcohol and starting the process of getting sober. This happened in 2016 so now I’m super proud to say I’m almost 2 years sober and my entire life has changed! It was a super hard but oh-so-worth it process of spiritual work, finding new support systems and new coping mechanisms and a whole new mindset. I’m now dedicated to breaking stigmas against addiction in this world and passing on the hope and freedom of sobriety to others with the same struggle. I’m super passionate about exposing people to the huge ways travel and yoga and spiritual work can open their hearts and minds – and then I love watching it happen! Wow. Congratulations! Your journey has so many ups and downs I felt a bit emotional hearing that. Business wise have there any challenges? 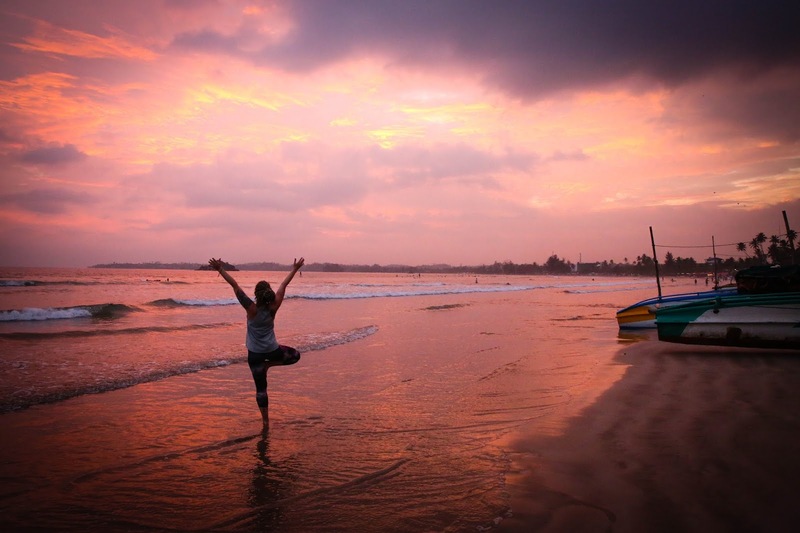 Competition is definitely a challenge as there are a lot of yoga retreats out there! What sets us apart is the fact that we’re a social enterprise devoted to being sustainable and eco-friendly and partnering with local nonprofits wherever we go. We believe that by putting our money and time into the right places, and being conscious of our impact, we really can change the world! We’re also different in that we really desire to serve people in addiction recovery. Our retreats will always be open to everyone, alcohol-free and sobriety supportive! We’re super focused on healthy living and encouraging personal and spiritual growth through our programming. I feel like packing up a bag and jumping on a plane! Should I haha? What advice would you give to someone looking to follow this career path? Just never listen to the nay-sayers and believe in your passion! Never stop learning. But also, jump before you’re ready! If you wait till you feel 100% ready, you might never start! Thank you so much for taking the time out of your day to chat with me, Carrie. I’ve really enjoyed learning more about Bigger Life Adventures and can’t wait to see where you and Zach go in the future. Where can we find you? It’s been my pleasure! Our site is Bigger Life Adventures, but we always love to hear from people on Facebook and Instagram too. That’s a wrap for this months interview, but I post new blog posts every Sunday so keep your eyes peeled. If you’ve enjoyed reading this interview give Carrie a message and show this post some love by sharing it with some friends. I appreciate it! How to Save Money for Travel – My Best Tips and Tricks! What is it Really Like to Solo Travel as a Black Woman? Is Travelling Alone Really That Safe For Women? What about you guys? Would you consider traveling and working? Do you already? Previous Post Solo Female Travel – Is It Really That Safe?